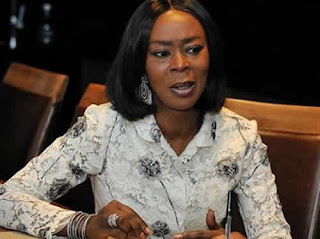 Mrs. Oluwatoyin Saraki, the Wife of the Senate President and Founder, Wellbeing Foundation, has said that millions of women and children die of needless death through preventable causes. Mrs. Saraki said that statistics has shown that 3.5 million children die before their fifth birthday and one in 13 women die during childbirth and pregnancy most of which could be avoided by access to clean water and proper hand washing techniques. She spoke at the 2018 National Health Advancement Conference and Awards with the theme, “Environmental Health: Reawakening National Awareness on Environmental Health Hazards and Safety,” organised by the Help Keep Clean Foundation in Abuja penultimate weekend. “We recently launched sanitation and hygiene programme focusing on hand hygiene for school children and pregnant and nursing mothers educating them on proper hand washing. Other factors, he said, include land use, ozone depletion, deforestation and animal agriculture. He said that deforestation for animal grazing is a burning national concern as about 18 percent live stocks is responsible for gas emission as measured by carbon dioxide equivalents. This, however, includes land use change meaning deforestation to create grazing land. Saying, as much as 70 per cent deforestation is to make way for grazing land obviously this is a major cause for concern in addition to carbon dioxide emission. “We all must play a role in preserving our environment starting from our immediate compound,” he said. Malla Ibrmahim Jibril, Minister of State for Environment and keynote speaker, said Nigeria is endowed with abundant natural and human resources transversing over 9,000 square kilometres of land. However, the country is faced with diverse environmental challenges such as desertification in the north to erosion and pollution in the south. These challenges come in manifold hazards which may be biological, chemical, economical and physical which threaten human survival and development of Nigeria. They inflict injuries, causing diseases and psychosocial disorder; all these take their toll on the lives of the citizens with the accompanying damage to property as well as loss of lives. The minister who was represented at the occasion by the Registrar, Environment Health Constitution Council, Dr. Dominic Abonyi, said there is a need to reawaken national awareness on environmental health hazard and safety. “This underscores the imperative of the present administration’s cardinal objectives of engaging critical stakeholders represented by the Civil Society Organisation.